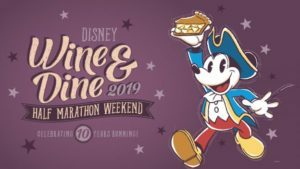 Participants of the Disney Wine & Dine Half Marathon and Disney Two Course Challenge automatically receive entry to the party and can buy more tickets for friends and family. Registration is now open for all events – and as of press time only the 10K was sold out. Stay tuned for more details on finisher medals and more for the Wine and Dine Half Marathon weekend. The race weekend is October 31 – November 3.